Imagine a warm, sunny Saturday on a typically-beautiful Australian beach. What do you see? The sun warming bathers hoping to top up their tans? Surfers patiently waiting for the perfect wave? All quite probable findings. On this particular day, I wasn’t quite that lucky, unfortunately. 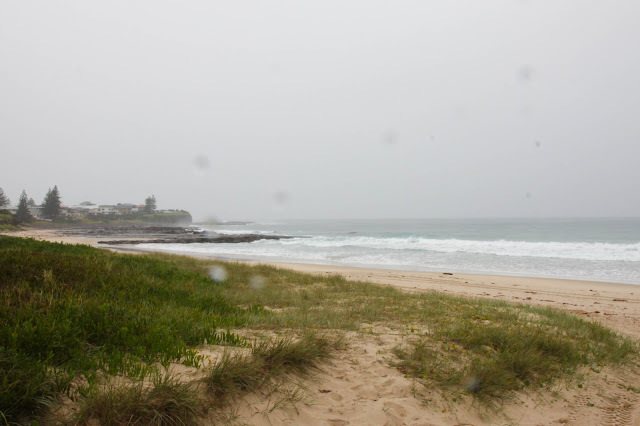 It was my day to see what it was like to be an Australian lifeguard and the weather was not cooperating. Regardless of the rain coming down at different angles, however, the lifeguards on duty were all business. As you would expect, they take their job seriously from the moment their feet hit the sand. Don’t get me wrong, however, they do like to have fun, but never at the expense of the safety of beach-goers. One of the first tasks of a lifeguard arriving on duty is to determine where the safe swimming zone is. Lifeguards will spend a few minutes observing the water for rips as well as wind and current direction before securing the flags in the sand. The location of the flags changes daily, and may even change throughout the day as the ocean conditions change. The ocean is never static and as a lifeguard you have to be skilled at constantly reading the water, and also somewhat predicting changes in the conditions. Another initial task involves letting bathers know of the current conditions. 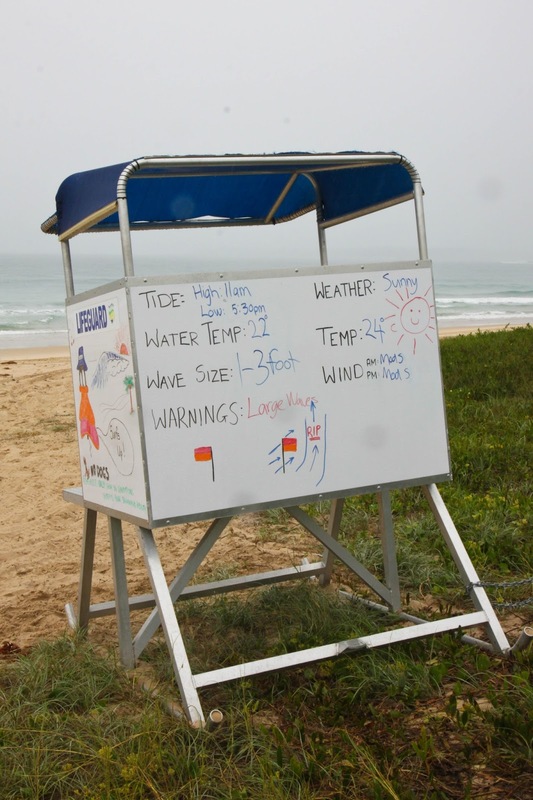 Air temperature, water temperature, wave height, among other things, are often recorded on a chalk or white board near or at the lifeguard tower. Any potential hazards of the day are also noted here, such as the presence of blue bottle jellyfish. Swimmers need to be aware of hazards and are encouraged to approach the lifeguards on duty if they need further information. Of course, even as these initial tasks are being completed, the lifeguards are watching swimmers already in the water, and ones that are just entering. As with most jobs, paperwork always finds its way into the mix. Even on days where no rescues are made or initiated, lifeguards have to keep records. For example, they record the number of people on the beach and the number of times they had to direct a swimmer into the safe swimming zone. The vehicle (pictured below) is used for emergency purposes and for access to further ends of the beach. 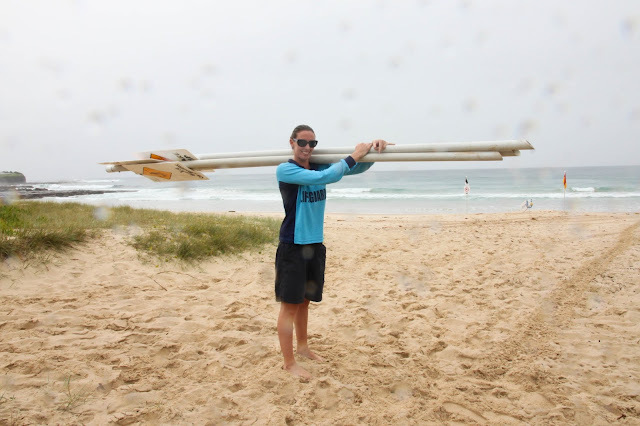 It's also used to transport the flags and rescue boards from the Surf Lifesaving Club to the lifeguard tower. They look similar to surfboards but are indeed quite different. They are heavier, thicker and are used differently in the water. The board is also not attached to your ankle with a leash, as is the case with a surfboard. To get a feel for the board, we paddled out “the back”, past the point where the last waves start to break, and waited for an appropriate wave to take to paddle back in. This process involved a few wipe-outs off the board, of course. Lifeguards use these boards during rescues as they are very buoyant and quick to paddle. 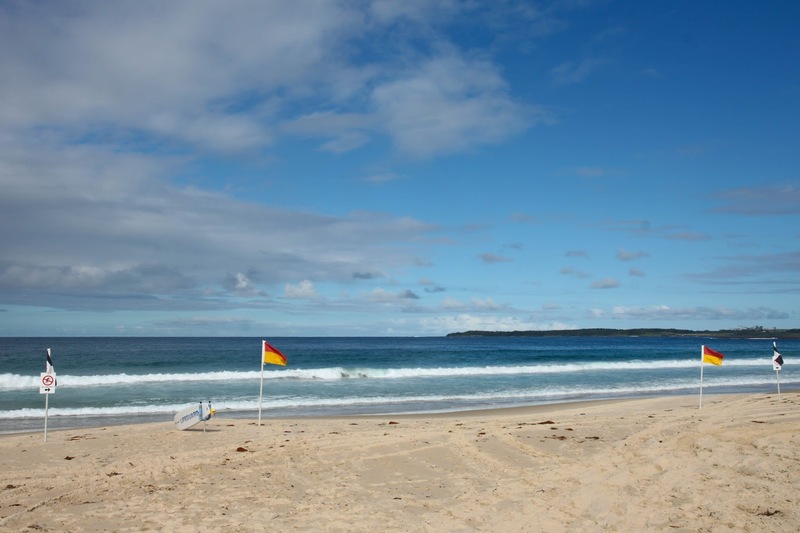 The lifeguard season in Australia varies from state to state and between jurisdictions within a state. In the particular region that I spent the day being a lifeguard, the patrol season runs from September to May. Patrol times will vary during those months, ranging from 9am to 5pm depending on the time of year. 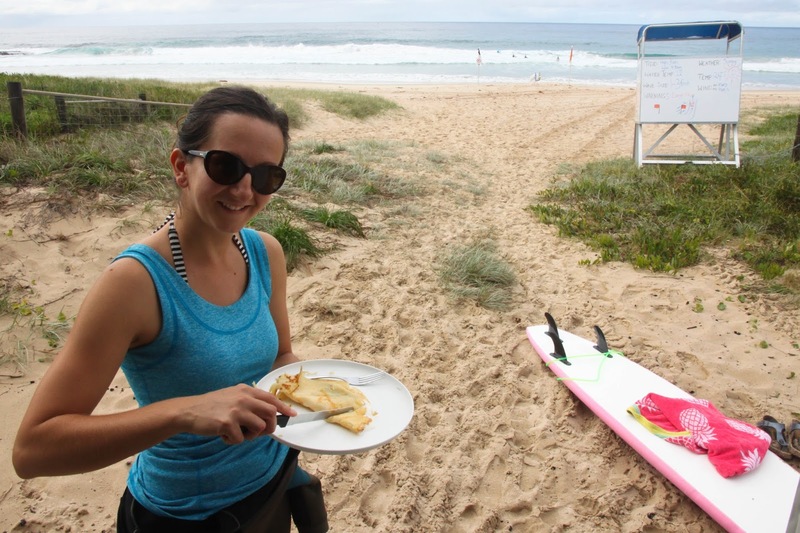 School holidays during the warmer months take place over 6 weeks in December-January, 2 weeks in April and October and tend to be the busiest times on the beach. Prior to the lifeguarding season, guards have to pass a stringent fitness test. 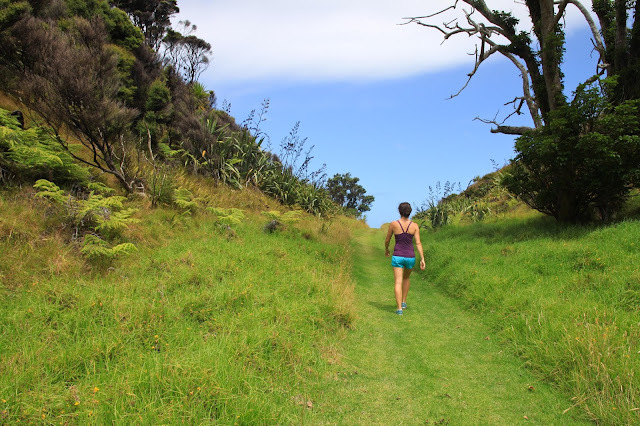 This test involves an 800m pool swim (in < 8 min), a 1600m run (in <7 min), and a lifeguard mission on the beach in under 20 minutes (800m run/400m swim/400m paddle/800m run). Lifeguards also need to demonstrate tube and board rescue, not to mention hold up-to-date certifications in first aid, advanced resuscitation, defibrillation and Gold Medallion. Picturing lifeguards in the past, the red Baywatch uniforms commonly came to mind. In Australia, you’ll see lifeguards wearing either the traditional red and yellow outfits (as part of Surf Life Saving Australia) or a combination of blue/navy or blue/white. 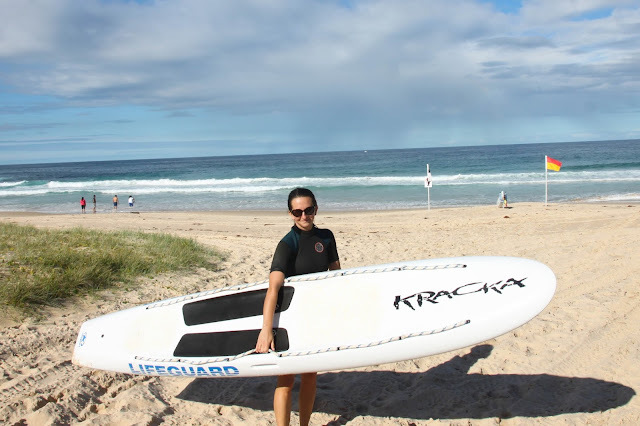 On weekends, some beaches are only patrolled by Surf Life Savers, volunteers with lifesaving training. 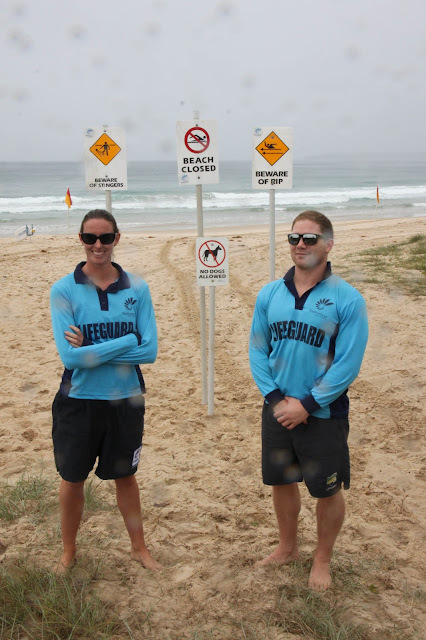 If you have ever watched Bondi Rescue, do not expect every Australian beach to have that much drama. On a local beach such as the one I spent the day on, the majority of days do not involve dramatic rescues. The number of people who go to Bondi Beach (in Sydney) far exceeds that of any other beach in the country, especially those found in small suburban regions. Nevertheless, many of us could probably picture ourselves having these less populated beaches as our daily offices. I would not hesitate for a second! A special thank you to the lifeguards that showed me the ropes on this not-so perfect beach day.